Chinese officials have largely avoided comment on the camps, but some have been quoted in state media as saying that ideological changes are needed to fight separatism and Islamic extremism. 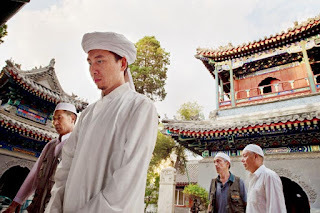 Radical Muslim Uygurs have killed hundreds in recent years, and China considers the region a threat to peace in a country where the majority is Han Chinese. The internment programme aims to rewire the political thinking of detainees, erase their Islamic beliefs and reshape their very identities. The camps have expanded rapidly over the past year, with almost no judicial process or legal paperwork.